Netflix announced today that Season 1 of “Derek,” starring, written, directed and executive-produced by BAFTA, Emmy® and Golden Globe winner Ricky Gervais will be available to members in the UK and Ireland starting on Thursday 30th January 2014. All seven 30-minute episodes in the series will be available at launch. “Derek” premiered on Channel 4 in the UK and recently began production of a second series. David Earl, Karl Pilkington and Kerry Godliman star in “Derek” along with Gervais. “Derek” is produced by Derek Productions Ltd.
Ricky Gervais said "Netflix is undoubtedly the broadcaster of the year and of the future and I'm so honoured to be a part of this viewing revolution." 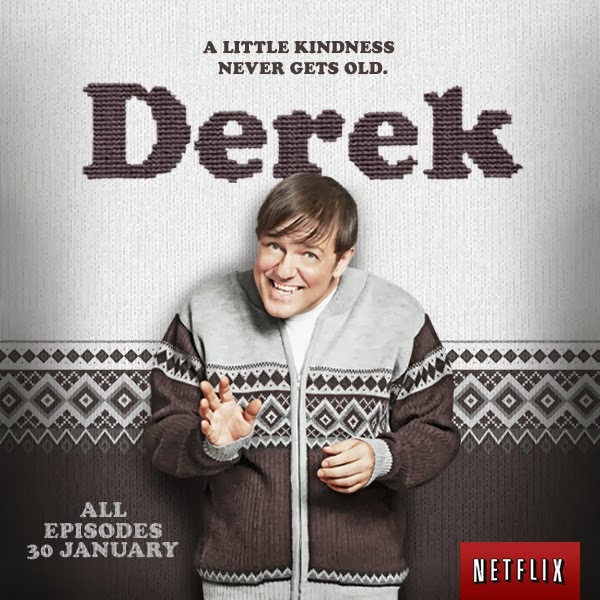 A bittersweet comedy-drama about a group of outsiders living on society’s margins, “Derek” centers around Derek Noakes (Gervais), a tender, innocent man whose love for his job at a retirement home shines through. Derek cares deeply for the home’s residents, because they are kind and funny and tell him stories of what life used to be like. 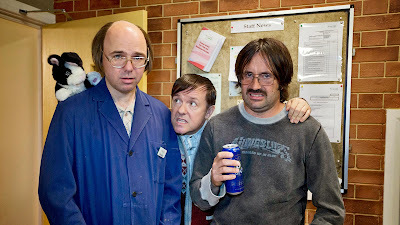 Working alongside Derek is Dougie (Pilkington), his landlord who is one of life’s unlucky individuals; Kev (Earl), a loveable train wreck; and Hannah (Godliman), a care worker in the home and Derek’s best friend. She is smart, witty and hard-working, but unlucky in love, and, like Derek, always puts other people first. Sign up to Netflix UK by clicking here.